I’ve been writing about seasonal vegetables for a few months to inspire people into including more fruits and vegetables into their diets. Recently, I’ve covered some of my favorite spring vegetables like asparagus, ramps and fennel. However, I can’t talk about the bounty of spring vegetables available without also mentioning one of the beloved powerhouse greens, spinach. Spinach is largely available year-round, but the freshest, most tender spinach is in season during spring, which means it’s the perfect time to talk basics. By now you know that spinach is a healthy leafy green, but did you also know that it’s one of the most popular vegetables in the U.S.? According to figures released from the U.S. Department of Agriculture’s Economic Research Service, consumption of spinach has quintupled since 1972. This is largely due to the rise of convenient pre-washed, bagged spinach. Convenience foods rarely make it easier for us to eat fresh, healthy food but in this case it absolutely does. I’ll be honest, I usually have a bag of baby spinach in my refrigerator at any given time. I bet you do too. Which is great, because spinach is as nutritious as it is popular. Spinach has been affectionately referred to as the first “super food” with good reason: it’s one of the healthiest foods on the planet. In fact, spinach contains more nutrients per calorie than any other food on earth. One cup of raw spinach is jam-packed with vitamins K, A, D and E, and Is a good source of dietary fiber, vitamins C and B6, thiamin, riboflavin, folate, calcium, iron, magnesium, phosphorous, potassium, copper and manganese. That’s one seriously healthy leaf! There is a compound in spinach called oxalic acid, which blocks the absorption of calcium and iron. This is easy to solve by simply pairing spinach with a food high in vitamin C or quickly boiling the spinach leaves for two minutes. Spinach is usually sold in bunches at most any grocery store, and you’ll be able to spot spinach at local farmers markets in season. 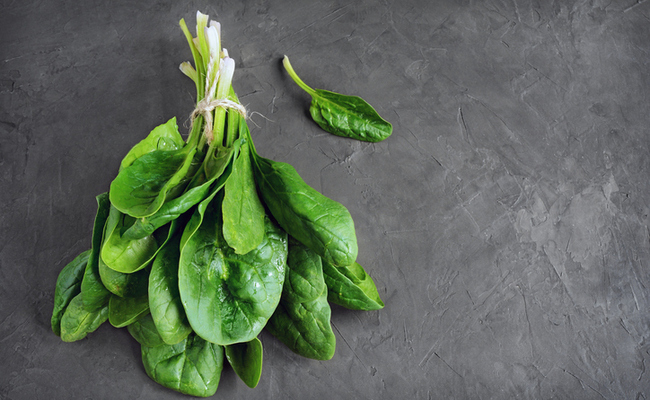 When shopping for bunches of spinach, select ones that appear bright green and vibrant. Avoid bunches with yellowed, limp or slimy leaves. Non-organic spinach is number two on the Environmental Working Group’s Dirty Dozen List of fruits and vegetables with the highest occurrence of pesticides, so choose organic spinach over conventional. Spinach can also be found in bags or plastic tubs of pre-washed leaves. You might wonder what the difference is between the two, aside from the price. Generally speaking, the tubs protect the tender leaves from being crushed during transport. This means the leaves are less likely to be damaged before they get to you. Plastic bags on the other hand, don’t protect greens as well as they should. You’ll often see the results of being tossed around during transit in the mottled spinach leaves sitting in bags on the shelf. Regardless of which package you buy, avoid yellowing or rotting leaves, or containers with excessive moisture in them. The best way to keep packaged spinach fresher, longer is to transfer it to a different storage container when you bring it home from the market. You won’t be washing spinach before storing it; exposure to water can speed up decay. Instead, remove it from it’s existing container and wrap loosely in a few paper towels. Then, place inside a plastic bag and squeeze out as much air as possible without crushing the leaves. Alternately, you can place a few paper towels in the bottom of an air-tight container, place the spinach leaves on top and seal tightly with a lid. The paper towel will help to absorb any extra moisture. Store in the refrigerator’s crisper for up to three or five days. Remember, spinach will go bad quickly. Eating it as soon as possible ensures the most nutrition and freshest flavor. There aren’t an abundance of tricks to cooking spinach, but there are a few. First, wash leaves just before using or cooking. Yes, the pre-washed stuff too. Secondly, spinach cooks in record time. It only needs about one to two minutes to steam or sauté so watch it closely or risk over-cooking. Lastly, spinach shrinks a lot during cooking. One pound of fresh spinach yields only one cup of cooked, so buy in bulk! Fun Fact: Cooking spinach actually increases its nutrition! A half cup of cooked spinach will give you three times as much nutrients as one cup of raw leaves. That’s because the body cannot break down all of the nutrients in raw spinach. Cooking the spinach helps to break down the nutrients allowing the body to absorb them. Are you ready to get cooking with spinach? I’ve searched for a variety of recipes to get you started. Let me know what you think of them in the comments. 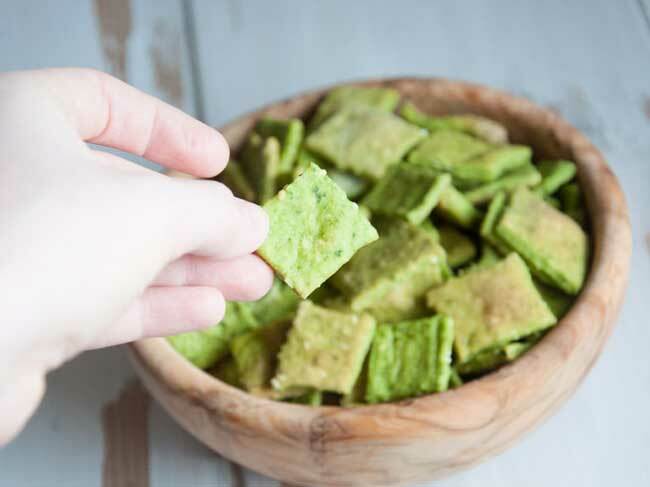 Look at these pretty Spinach & Sesame Crackers from Bianca at Elephantastic Vegan. 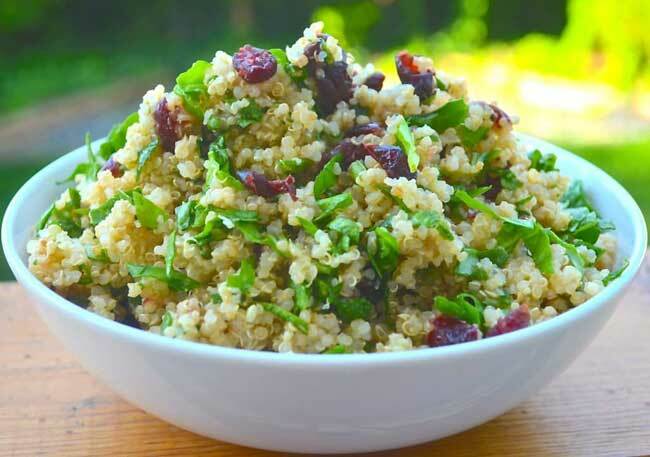 Mel’s Lemon, Spinach & Cranberry Salad from A Virtual Vegan is full of spring flavors. 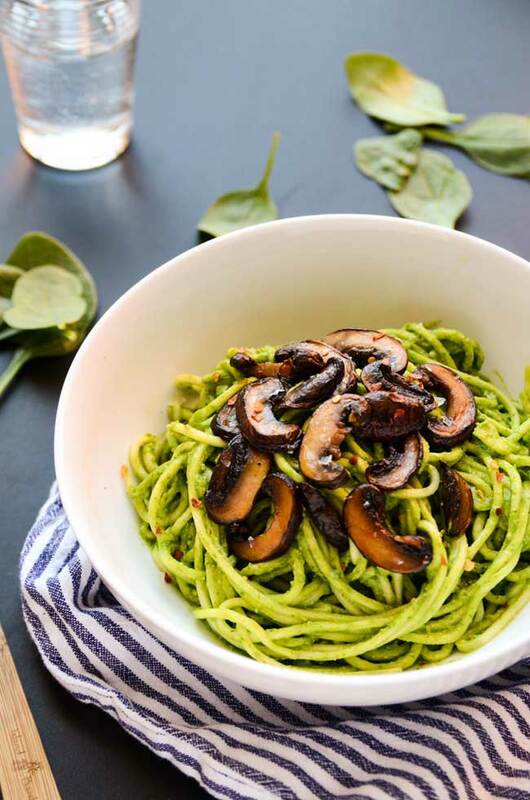 This Avocado-Spinach Pesto Pasta with Mushrooms recipe from Ashley at Blissful Basil is drool-worthy. Feature photo credit: Thinkstock. All recipe images via recipe authors and used with permission. Looking forward to trying some of these recipes - look great!!!!!!!!!!!! !